Qobuz — the Hi-Resolution Audio streaming platform from France— just launched in the US. 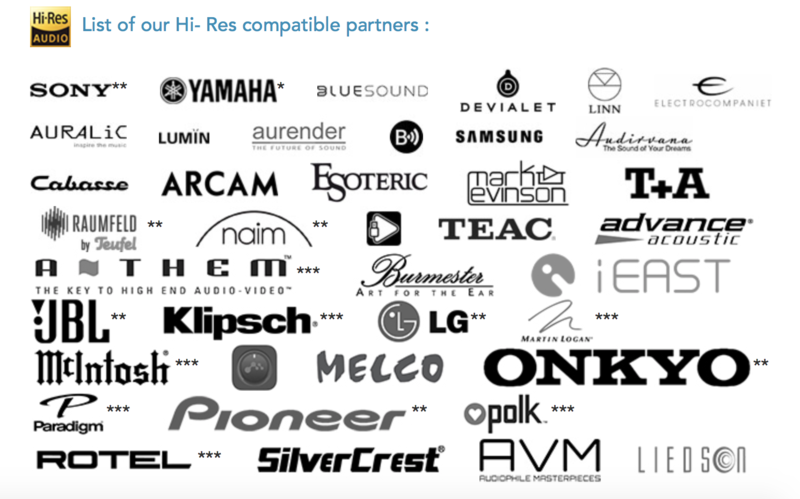 This is a big deal for Domo Audio. They have over 170,000 albums available in 24-Bit Hi-Res Audio quality and some of the deepest cuts of jazz and classical albums. But what’s most exciting to us is the integrated art, style and content. The editorial and the curation are a dream come true for any music lover. When Qobuz formed in 2008, their goal was to offer the digital world the aspects of music fandom that audiophiles, those who love music best, have always cherished. That meant quality sound, quality editorial, and a freedom of choice that wholly excludes bias. How lucky are we that they succeeded. To celebrate the launch, we caught up with Dan Mackta, managing director of Qobuz USA. Prior to joining the Qobuz team, Dan was Co-Head of Marketing for Razor & Tie Recordings in New York. He also served as Vice President of Marketing at both RCA Records and Jive Records/Zomba Label Group. I’m excited about the new launch. Turning people on to the benefits of a hi-fi streaming platform almost sounds like your old days of breaking new acts and promoting new releases. ‍Qobuz is a tiny company compared to others in the music streaming and download business. I’ve generally worked with music outside the mainstream and had to be clever and creative in my marketing rather than relying on sheer budgetary might. But the thread that really ties it together is the idea of quality. Even when it was hard, I knew the music I was promoting was great and would bring people a lot of pleasure. Similarly, I know Qobuz will make people happy when they experience it. So we push through the tough moments. When you first started in the music industry, did anyone ever imagine that you’d be able to stream hi-res masters anywhere in the world at any time? ‍Absolutely not. When I started, CDs were coming into their own and vinyl — outside the audiophile world — was completely dead. By the late ‘90s and the first dot-com boom, the idea of a ‘celestial jukebox’ was bandied about but at that time online audio was pretty lo-fi. Basically, the idea of audio quality was totally sacrificed in favor of convenience by the lossy download. The MP3 revolution changed the model completely and almost killed the music business for everybody. Streaming has made it even more convenient and brought some revenue back into the business, but again, at the expense of audio quality. The difference between what I was hearing at say Sterling Sound in Joe LaPorta’s mastering room and the music ultimately streamed to the fan was pretty depressing. That gap is eliminated with Hi-Res audio and the ability to stream it with no special equipment is revolutionary. The ‘celestial jukebox’ is here and it sounds incredible. When music was first digitized, it was also commoditized. You can have 1 million songs at your fingertips but at what cost? ‍The beauty of streaming audio is also the problem — as music becomes even more ubiquitous, accessible, and customizable — the concept of “Furniture Music” proposed by Satie becomes real. It is everywhere and is merely the background to our regular lives. But that takes the kind of joy and excitement that music can bring out of the equation. By focusing on the lean-in experience that a true music connoisseur is looking for, Qobuz offers an alternative to ‘music as aural wallpaper.’ Our service is all about offering the fan context, information, and an expert take on what sounds good and why. Music tickles the mathematical underpinnings of our nervous system. The shared appreciation of an art form doesn’t get any deeper than the one we see with music. I don’t know why! But I do know that something is lost when audio is compressed and when the art is detached from the artist completely. Absolutely. What have you been listening to lately? ‍The Beatles White Album remix, of course. There is a great Swedish band called The Amazing whose latest album came out over the summer. And discovering all kinds of great jazz that really sings in Hi-Res. John Abercrombie’s “Timeless” on ECM has been at the top of the list. And where do you see the future of music and streaming heading? Where do you think we will be in the next 5-10 years? ‍I think the market for streaming music will continue to explode. It is too convenient and now the audio quality is there. As a result, I expect stratification in the services and hardware. Some people will stream lossy audio into a crappy Bluetooth speaker and be happy, and on the other end of the spectrum there will those who stream lossless Hi-Res into a DAC costing 5 figures on the way into a system that cost the same as my house. I personally believe that the growth in AI music alongside the lifestyle playlist phenomenon will lead to more and more music that is not created by humans being happily consumed by folks working out, trying to relax, or looking for something to help them focus. Qobuz is the opposite of all this though, and I think the market is evolving and will offer opportunities to humans too!